Broad Brush Overview: A surface high just north of the islands will drift eastward, producing trade winds in a stable environment. A cold front approaching from the northwest, will break down the ridge north of the islands, leading to light and variable winds Friday through Sunday. This weakening cold front will move into Kauai Sunday night and stall. Showers will spread across the state with possible thunderstorms next week…as an upper level low drifts into the area. Details: A moderately strong high north of the state will continue to shift eastward. A strong upper level ridge over the state will keep the atmosphere stable, with limited showers into the weekend. 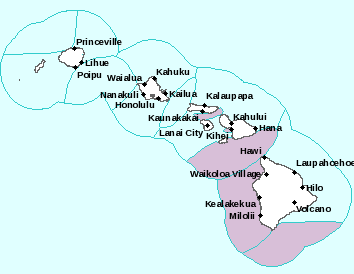 Moderate trade winds will continue over the islands with isolated showers possible along windward slopes. Trade winds will diminish tonight, as an approaching cold front from the northwest will break down the surface ridge north of the state. Winds will become light and variable Friday through Sunday, with land and sea breezes over the islands. Onshore sea breezes and heating over land, will cause clouds to build up over the upcountry areas with a few showers possible. Offshore land breezes will clear out most cloud cover each night. A weak cold front will drift into Kauai late Sunday night bringing in additional clouds and showers to that island. Looking Further Ahead: This front will stall over Kauai Monday, with showers possibly spreading across all islands as an upper level low forms north of the state Tuesday through next Thursday. Heavy rainfall and thunderstorms are possible with next weeks wet weather pattern. However, there are still some uncertainties in where the upper low will set up. Any heavy rain impacts that develop under the low, will be highly dependent on the track of this system. The models continue to show differences in the location of this upper low next Wednesday and Thursday. The latest American (GFS) model brings the upper low over the central islands, while the European (ECMWF) model keeps the center of the low just east of the Big Island. Stay tuned for changes in the island weather forecast for next week. Heavy rain and thunderstorm impacts will be sorted out by the models with time. 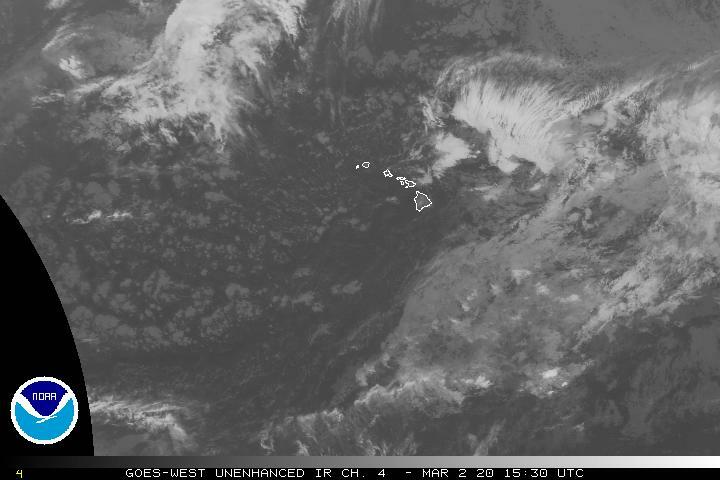 Marine Environmental Conditions: A surface ridge north of Kauai will maintain moderate to locally strong trade winds. The trades will likely begin to ease tonight, as the surface ridge starts to weaken and shift south toward the islands ahead of an advancing cold front. By Friday, the weak ridge is forecast to be in the vicinity of the state, which will result in weak east to southeast winds Friday, and light and variable winds across most areas Saturday. A new surface high building northwest of the area Saturday night through Sunday will eventually push the frontal boundary down toward Kauai. The forecast models are suggesting this front may dissipate as it reaches the state. Regardless of the status of the front, the high building northwest of the area will cause increasing northeast to east trade winds late Saturday night through Sunday. 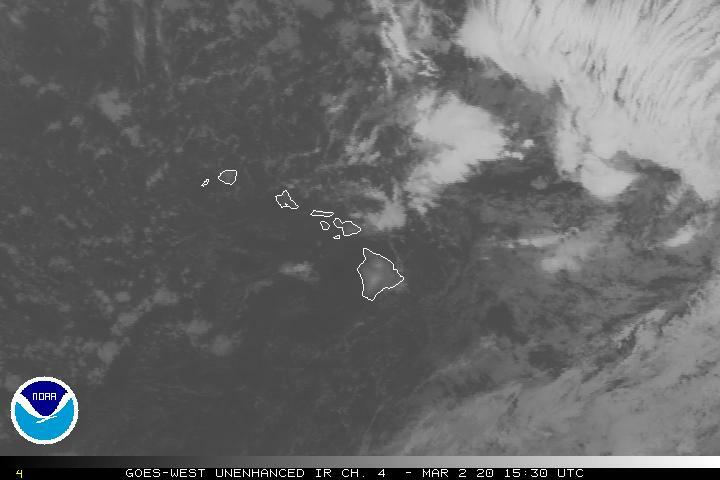 The trade winds will likely continue to gradually increase early next week. The current northwest swell will continue to gradually lower. A reinforcing northwest swell spreading down across the state tonight will boost surf heights along most north and west facing shores of the smaller islands. A new north-northwest swell arriving Friday may cause surf to approach the High Surf Advisory criteria along most north and west facing shores of the smaller islands starting late Friday. This swell will gradually lower Saturday ahead of a new reinforcing northwest swell arriving late Saturday night. This swell will likely boost surf heights along most north and west facing shores of the smaller islands Sunday. The northwest swell is forecast to gradually lower early next week. Surf along south facing shores across the state will likely remain small through early next week, with only small swell sources arriving from the southern hemisphere. Surf along east facing shores is expected to remain minimal into early next week due to relatively light trades and the lack of a significant upstream fetch in the trade wind flow. The latest guidance suggests there may be a slight boost in surf heights along east facing shores starting next Tuesday or Wednesday. Interesting: You’re Probably Using Your Sun-Blocking Moisturizer Wrong – SPF facial moisturizers can block the sun’s dangerous ultraviolet rays as effectively as comparable sunscreens, but only if you use them correctly. And according to a new paper published April 3 in the journal PLOS One, you probably don’t. Sun-blocking moisturizers are popular beauty products, often marketed as “anti-aging” products. (Protecting skin from UV rays with any sunscreen will keep it looking younger as well as help protect it from cancer. But the researchers behind the new paper found that people are significantly less careful about achieving full coverage using moisturizers than they are with sunscreen, exposing vulnerable patches of skin to UV rays. The new findings are based on an experiment conducted on 84 college students at the University of Liverpool in the United Kingdom. Researchers gave each student either sunscreen or SPF moisturizer, with the instructions to simply apply the product to their face. After applying, the students filled out a questionnaire in which they were asked whether they had applied the substance to “all areas” of their faces. On a later date, the researchers repeated the experiment, giving the sunscreen students moisturizer and the moisturizer students sunscreen. In both cases, an overwhelming majority of the subjects believed that they had successfully covered their entire faces. But photos told a different story. Using a UV camera under UV lamps, the researchers imaged the students’ faces. These photos showed where exactly the sunscreen or moisturized was applied. When using sunscreen, the students missed an average of 11.1 percent of their faces, the researchers found. But using moisturizer, the students missed an average 16.6 percent of their faces. The main problem? Folks were skipping their eyelids.The students were prone to pass over that sensitive skin area when using either product, but they skipped it most often when using moisturizer. Interestingly, darker-skinned students tended to do dramatically better than lighter-skinned students at covering their eyelids in both cases. And men did significantly better than women. No group was exactly good at covering their eyelids, though, and subjects tended to miss other parts of their faces as well. Based on these results, the researchers suggested, it’s probably a better idea to use sunscreens than SPF moisturizers. But in either case, it’s definitely a good idea to make sure you cover your whole face, including your eyelids. Is there an archive of yesterday’s narrative? I’d skimmed over Hans Rosendal’s vog piece, and wanted to read it again. ~~~ Hi Nancy, actually if you click on View All (just above the comment by Jay), it will take you down to what Hans wrote…it’s embedded in the comment that Roberto left. Let me know if you can’t find it. I trust you and yours are all well and fine, there in Sonoma County. I miss that area, and all my friends in that part of northern California! Came home to upper Kula this evening after being in town all day and most of plants and other items on the deck had blown over. I’m surprised about the wind..and the direction it’s coming from. 20 more miles an hour than other reported locations…it will calm down tomorrow, Monday?.mahalo for any answer…and your site! ~~~ Hi Jay, yes, the Kona winds got strong and gusty here in upper Kula. It seems that the strongest winds, by far, occurred in Upcountry east Maui area. I was a bit surprised that the winds got as strong as they did, given the fact that we had a high pressure ridge over the central islands. 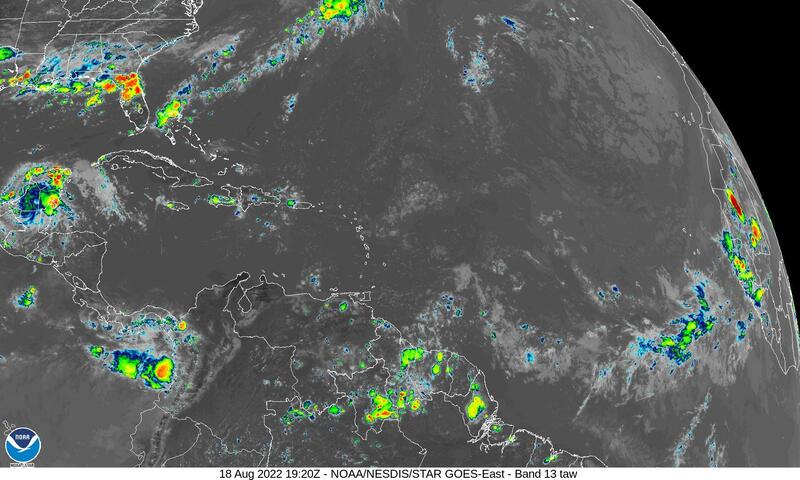 It had to be due to the approaching cold front to the northwest, which is moving towards the islands. Hope no plants were damaged. I’m a Honolulu native visiting here in SE Asia. The air quality here is quite poor here now seasonally due to forest fires, crop burning, etc. You really appreciate how good we have it clean air wise in Hawaii when you travel. Thanks for the great synopsis about vog, I was wondering why we had a few foggy days couple of weeks back! Love your daily report Glenn, you’re like an old friend. Aloha! ~~~ hi James G, good to hear from you, wow, all the way over in Chiang Mai! I understand that SE Asia can have very poor air quality…very unhealthy at times! I’m not sure about the foggy days you are referring to, although it’s not unusual to have low clouds reaching the ground in the upcountry areas…perhaps that’s what you are referring to? At any rate, thanks for your kind words, I appreciate you as a friend too. Take care and be safe in your travels. Great info Glen & Thank You! I live on the N.coast near Hana, and have seen this salty air many times. As evidenced in my avocado trees, the leaves turn brown on the edges & wilt a little. After the episode, they will turn back to bright green in a few weeks. Actually, it seems to enhance the tree as I’m sure it likes the high mineral dosage from the sea salt. Also, thanks for “clearing” the air about VOG !! 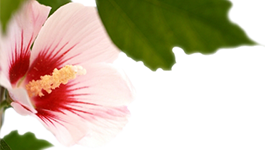 ~~~ Hi Butch, good to hear from you out there in Hana. In the old days I used to drive out to Hana quite a bit, to see several friends…most of which have passed away. I love that lush part of the island, it’s so mellow and quiet…away from the visitor traffic. Interesting how your Avo trees reacted to the salt, and then snapped back even more healthy. Yes sir, it looks like that nasty vog will finally take a good long break. I’m sure the folks, especially in the Kona area, are happy about this. I had some of them telling me that with the vog, it was becoming uninhabitable in their opinions. Kudos to Glenn James & Hans Rosendal.. weather legends in Hawaii for over 35 years. Their corporate knowledge of Hawaiian weather is indispensable, esp. because the many newbies now working for the Natl Wx Svc. I was there when Hurcn Iniki hit Kauai in Sep 11, 1992. We were ill-prepared then over 27 years ago. I hate to think what will happen when the next hurricane hits Hawaii, with the many inexperience people now there! ~~~ Hello Wyman, good to hear from you, and thanks for your very kind words. I will pass along your comment to Hans. Please rest assured that there are highly qualified folks working at the NWS office in Honolulu. They do an outstanding job of forecasting the latest weather conditions here in Hawaii. I have total faith in their abilities, and I think everyone here in the islands should too. Thanks Glenn for sharing this most interesting and well written response from your mentor Hans Rosendal! You’re both legends! ~~~ Hi Steve, your words are very much appreciated, although I don’t put myself on the same level as Hans, he’s a couple of rungs above me! The volcanic haze or Vog, that in recent years have enveloped the smaller islands of Hawaii primarily during southeast winds conditions, is generally a thing of the past. This irritating Vog, that contains certain acids and particles associated with the lava and gases coming out of the vents and craters, and eventually flowing into ocean, and also from the burning of vegetation along the way. 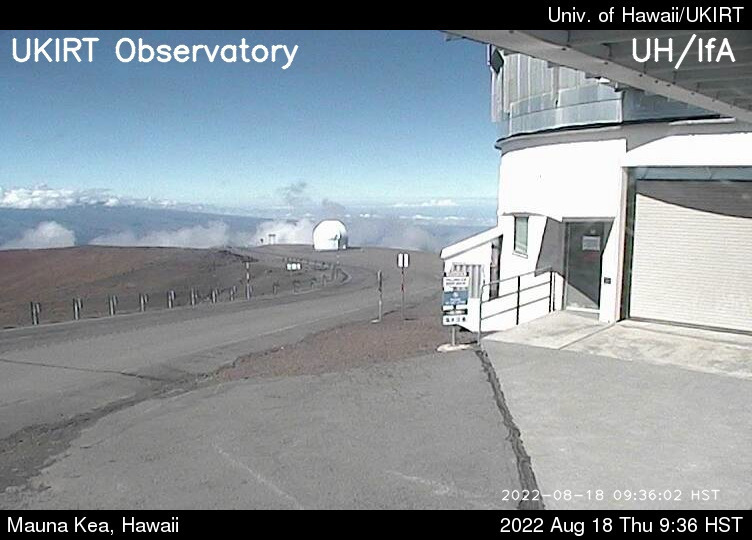 This Vog is now generally gone probably not to reappear for another couple of decades. The haze we have been seeing recently is the ordinary wintertime salt haze originating from ocean spray of salt water during high wind situations on the open ocean, or from crashing surf along our shorelines. When winds reach gale force or storm force, white caps or breaking waves appear with spray getting into the air. 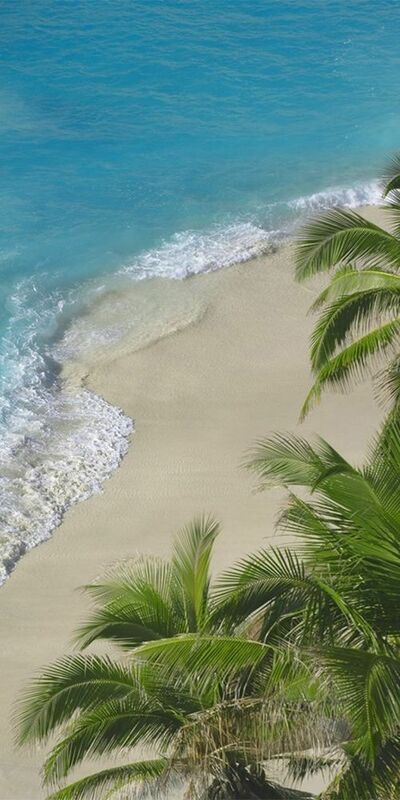 The spray consists of salty sea water. The water itself evaporates rather quickly into the dry air, while the tiny salt nuclei remain in the viscous air for many hours or several days slowly drifting lower due to gravity to eventually settle out at the surface or recombining with liquid water as tiny cloud droplets or larger rain drops. The recent episodes of low visibilities or haze here in the Islands were caused by salt particles from breaking waves over large patches of ocean several hundred miles to our northeast experiencing strong winds of 40 to 50 mph with much ocean spray whipped into the air. This salty air mass then subsequently was carried into our area by stable trade winds to cause the hazy conditions. Roberto, I hope you appreciate his response as I do!